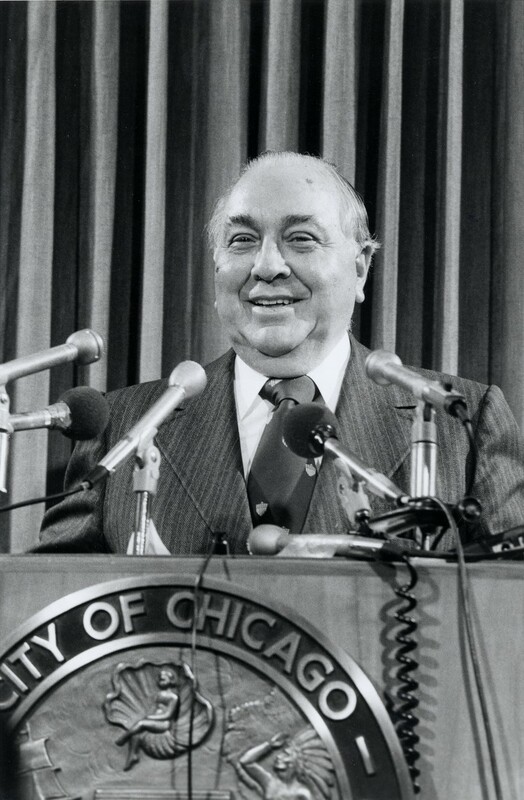 March 28, 1974 – Appearing before a United States Senate sub-committee on water resources, Mayor Richard J. Daley once again talks about swimming with the fishes. The committee is reviewing plans for the proposed Deep Tunnel project and its 120 miles of waste water tunnels designed to eliminate flooding and clean up the city’s waterways. Speaking to the committee chairman, Senator Mike Gravel, the mayor said, “Senator Mike, we hope to clean up the Chicago River so you can fish in the river at noontime. And with the help of the President of the Forest Preserve District, we hope to have a forest preserve, too, and you can barbecue your fish.” [Chicago Tribune, March 19, 1974] When Gravel asks Daley to place a value on the benefits that would come from such an expensive project, the mayor responds, “How do you put a value on young people in the inner city being able to fish in the river, which they never had before? Would you say $500, or $1,000? It is very difficult to put a value on that.” The hearing is held at the headquarters of the Metropolitan Sanitary District as a first step in obtaining federal funds to help carry out the huge project. 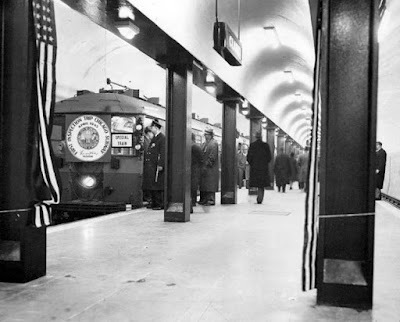 March 28, 1943 -- Chicago officially becomes a city with a subway when at 3:18 p.m.a three-car train leaves the elevated tracks south of Arrmitage Avenue and enters the Cloybourn-Diviision-State Street tube, today's Red Line. The train carries newspaper reporters and about 150 employees of the subway department. Operating the train is Charles Blade of 1127 Newport Avenue, an elevated lines motorman for 29 years. Since Blade had never seen the inside of a subway, an electrical engineer, C. J. Beck, stood at his shoulder. 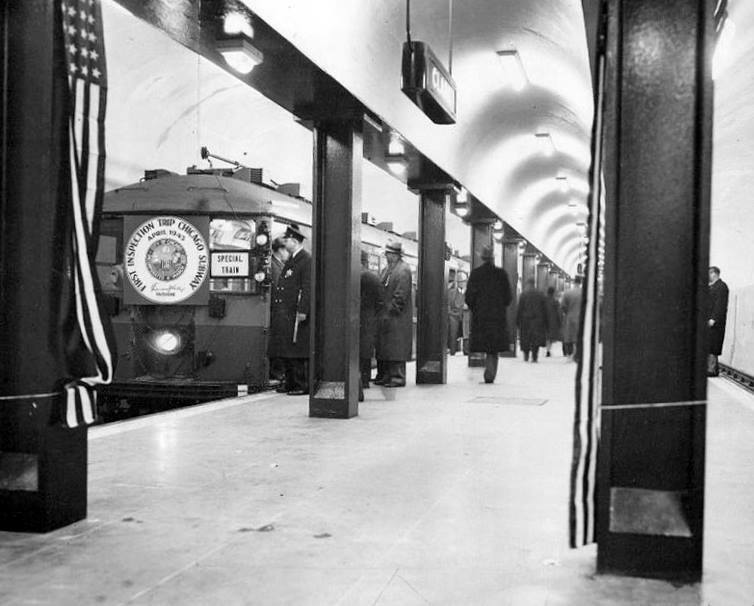 Although Chicago's first subway would not officially open for another six months, this trip and another one on April 2, 1943, shown in the photo above, are made just in time for the re-election campaign of Mayor Ed. Kelly. According to the Chicago Daily Tribune, "Women standing in their backyards waved as the train dipped into the ground. Kids lined the railings. A passenger shouted for a bottle of champagne to christen the subway but only a cask of drinking water had been brought along."